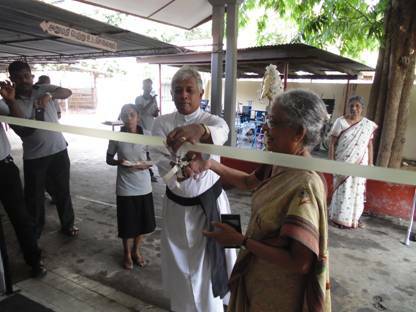 JJCDR held its sports meet for its beneficiaries at St.Johns College Jaffna on 1.7.2017 Mr. P.Thayananthan, Divisional Secretary, Jaffna was the chief guest on this occasion. Mr.S.Ramachandran, Secretary, Sri Kanaga Thurkkai Amman (Hindu) Temple Trust and his wife visited JJCDR on 12.6.2017, met with Board of Management. During the meeting it was discussed in detail regarding the ongoing projects for the disabled persons and the future projects. Also attention has been focused on the fields to be considered for grants. The JJCDR’s 30th Anniversary Exhibition 2017, was held on 16th and 17th of May 2017. 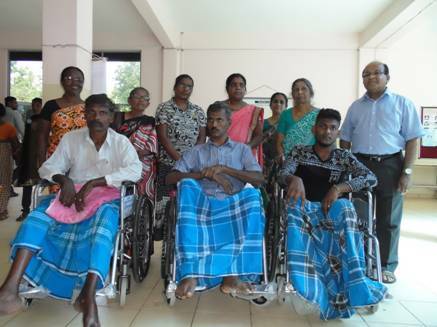 Under a series of programmes organized to mark the 30th anniversary, JJCDR conducted a free mobile camp for the benefit of the disabled persons in the Mullitivu district on 21.2.2017. “Provision of Milk power and Sathuma to the children affected with cerebral palsy” project was launched with the financial support of SKTAT. Mr.S.Sri Rangan,Chairman, Sri Kanaga Thurkkai Amman (Hindu) Temple Trust and his wife visited JJCDR On 3rd Oct 2016, met with Board of Management. 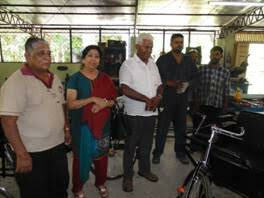 Chairperson and Treasurer briefed Mr.Sri Rangan on the project for disabled persons, funded by SKTAT Trust. He also toured Prosthetic, Orthopaedic, Physiotherapy and Mobility sections and had discussion with Senior officials regarding the ways and means of helping the disabled persons in our community. 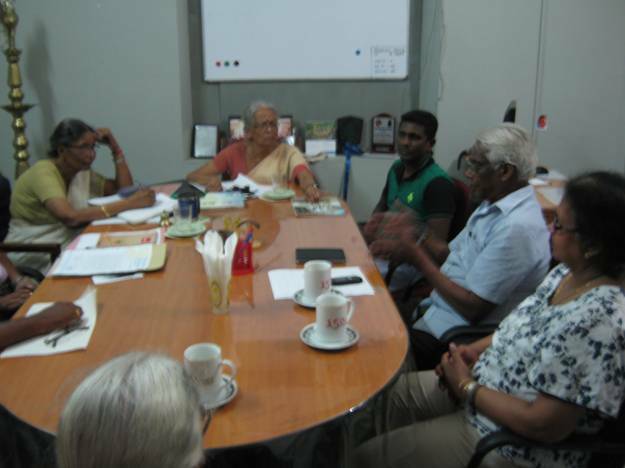 Mr. N. Balasubramaniam, SKTAT, visited JJCDR on 28.5.2015 and held discussions with Board of Management. The main objective of this discussion was to review the achievement of the Tricycles/Wheelchairs Project supported by SKTAT. 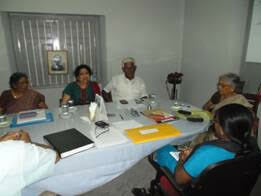 Dr (Mrs) S. Theivendran, Hon. 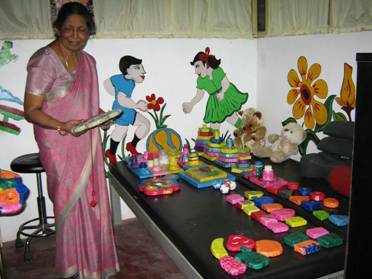 Treasurer/Acting Chairperson, Mrs .M.Mahenthiran, Hon. 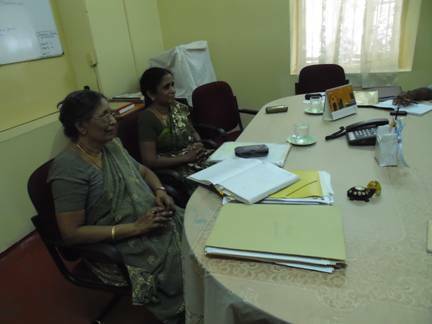 Board Member, Mr. Ratnasingam, Administrative Secretary, and Mr.S.Paramanathan briefed Mr.Balasubramaniam on progress being done by JJCDR and the constraints confronted by them. 10 Guides from Chundikuli Girls’ College volunteered to serve disabled children at the “Special wheel Chair Donation Camp” (CPLF/JJCDR) for the Children affected by Cerebral Palsy held on 2.5.2015. 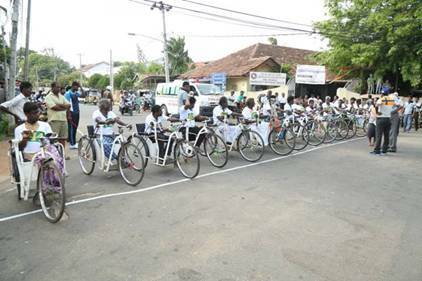 Their task was to interact closely with disabled children and learn firsthand information of the issues , empower them and to bring them in to social inclusion.